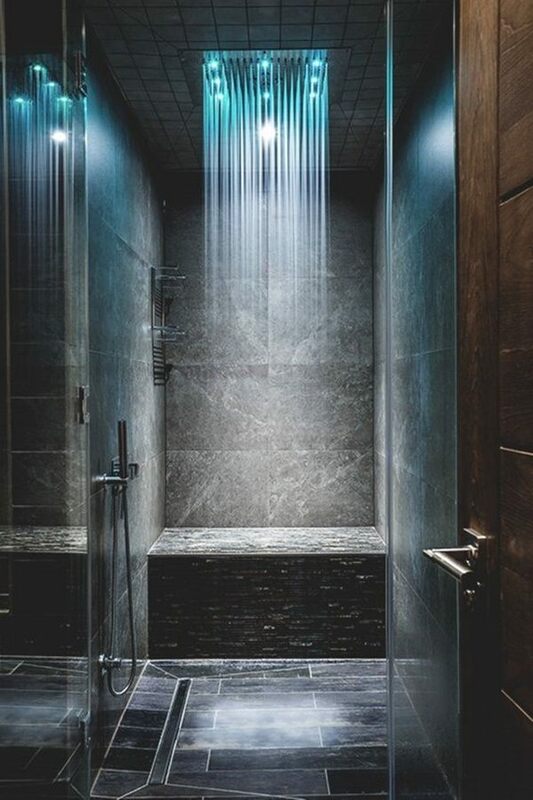 A rain shower head provides the ultimate bathing experience and that is one of the reasons why more and more homeowners choose this type of shower design. 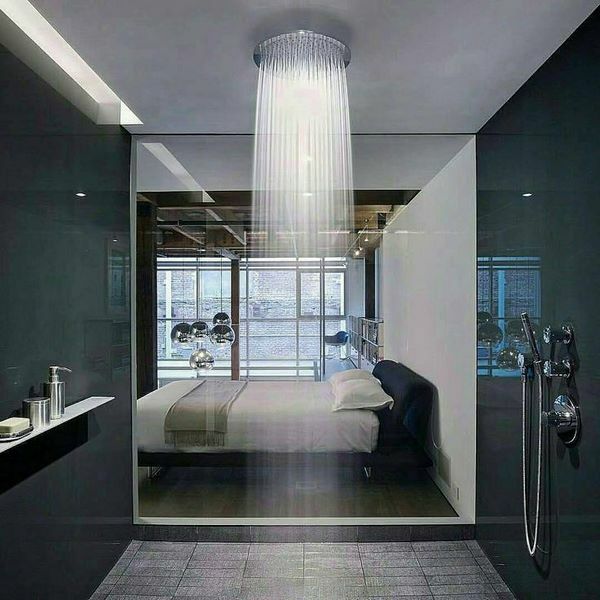 Many building construction companies prefer to install rain shower heads since this is quite easy and simple and the water supply and plumbing are designed accordingly. 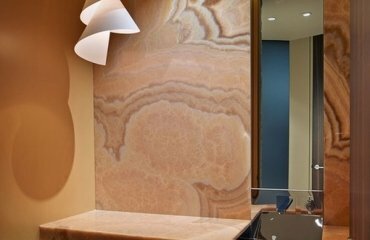 It is not impossible, however, to install such a head in your own bathroom and those who plan a remodel will find some amazing design ideas in the gallery below. 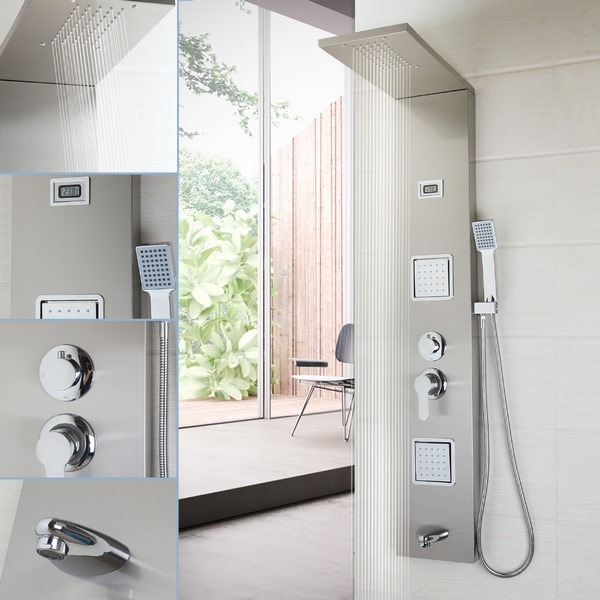 It is not difficult to select a rain shower as many manufacturers offer them in a variety of designs. 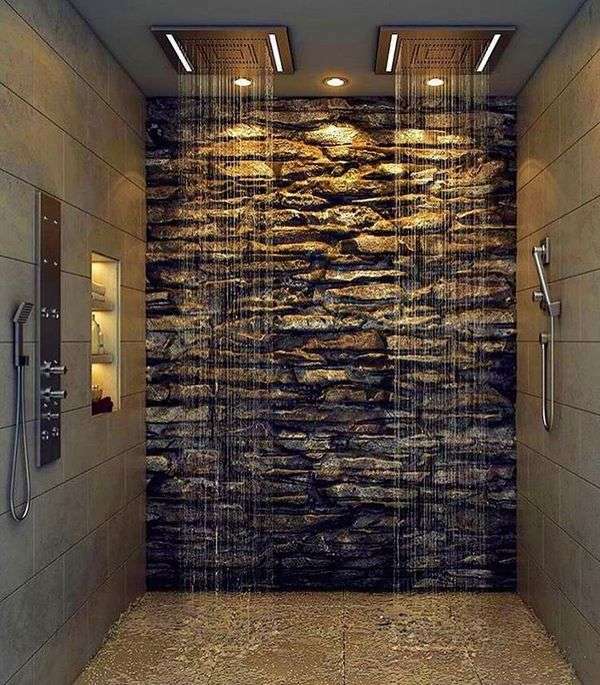 We shall explain the basic features and characteristics of rain showers, the advantages and benefits for the homeowners and of course, we will give you some ideas how to incorporate it in your own bathroom. Have you noticed how much children like to walk under the warm summer rain? Have you experienced the unique pleasure of the warm drops all over your body? Well, this is exactly the experience that a rain shower can provide in your own bathroom. So, what is a rain shower head and how it is different from traditional shower heads? This is a large shower head, usually a thin square or round disk, which installed overhead and the water covers the entire body. The heads are designed with many small nozzles and water is evenly distributed over the entire surface of the head. Modern models are additionally equipped with a system for adjusting the intensity of the water supply and you can adjust the water flow – from a torrential downpour and drizzling rain, to a huge rainfall or waterfall. Some models are equipped with additional LED lights which help create different lighting effects. What are the advantages of a rain shower head? Summer rain, like in the tropics, creates a pleasant sensation, because any person receives energy from the water which helps the muscles relax, removes anxiety, reduces stress levels and rainfall showers are also called the showers of positive emotions. It also has a hydro massage effect on the skin of the body, since water is additionally aerated in the mixer. On the first place, rain shower heads provide a gentle and relaxing experience for the whole body due to the many spray nozzles. Another advantage is that adjustable models allow you to change the spray – overhead or at an angle – as per your wish. Some models are designed with a flexible neck, an adjustable arm which can change the height and the angle of the water or a pivoting shower face which allows you to adjust the spray angle. 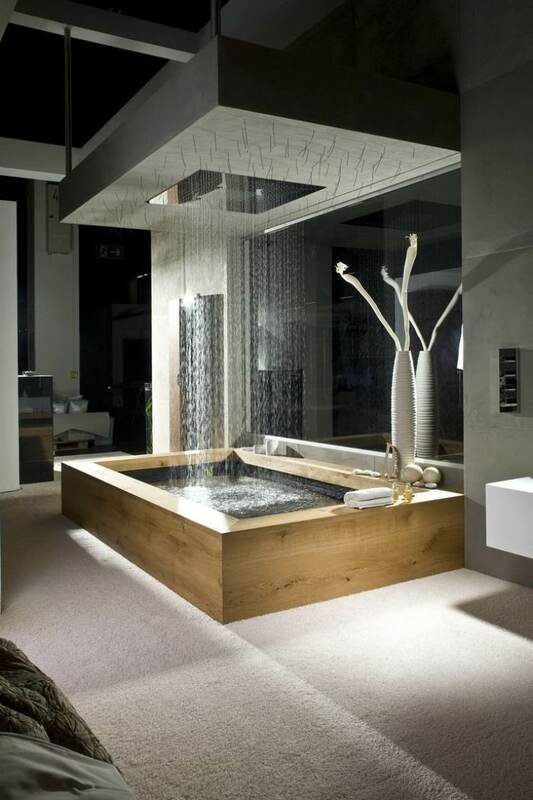 The style and appearance of rainfall shower heads is quite impressive. 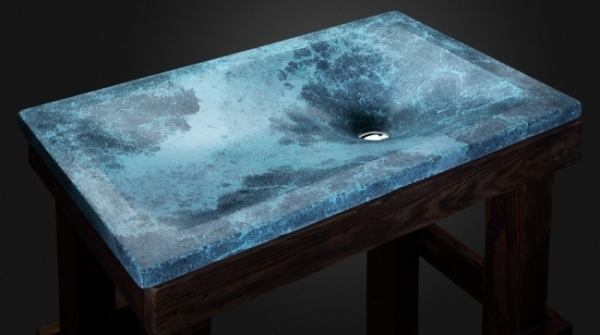 They look chic and add a truly luxurious look and feel to any bathroom. A quality system can turn a small bathroom into a beautiful tropical retreat. 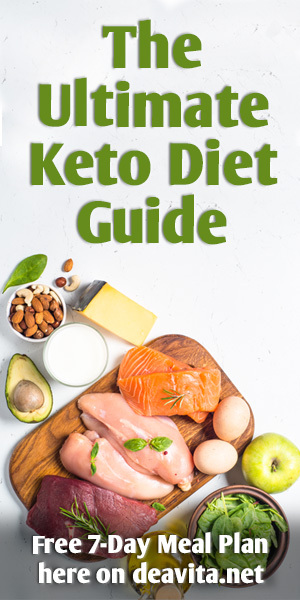 Additional options are available as well and you can choose from several varieties – from relaxing soft droplets and the freshness of pouring rain in the form of thin streams to intense hydro massage pulsations, etc. 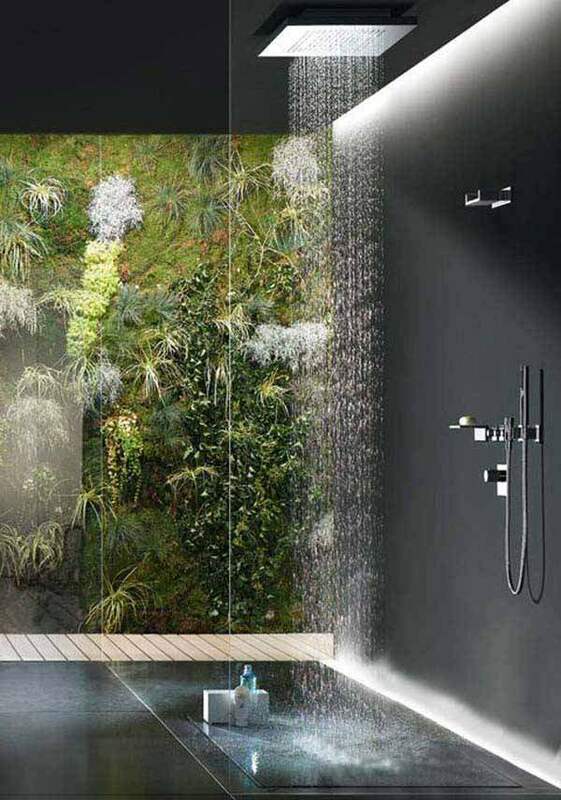 Multiple studies have shown that a tropical shower really benefits human health. In addition to natural cleansing functions, it also includes health-improving effects. The hydromassage function acts on the nerve endings located on our body and this has a huge relaxing effect on the skin. This relieves the muscle stress and removes clamps. In addition, water improves the levels of oxygen saturation in blood which is beneficial for the human body and organs. Despite the fact, that this is not scientifically proven, some people support the opinion that the special lighting also has a positive effect. For example – green light eliminates depressive thoughts while blue has a soothing effect, yellow increases brain activity and helps normalize the immune system and red creates a vivacious feeling. What do you need to know when choosing a rain shower head for your bathroom? As much as they are attractive and eye catching, advantageous and beneficial to human health and well-being, there are a number of considerations that you need to keep in mind when shopping for a rain shower head. Size is on the first place in the list of factors that will determine the right choice. Rain heads come in a variety of sizes but, in general, they are bigger than traditional models. The larger size is a result of the design which covers more area and the head sprays the water over the entire body instead of spraying a concentrated stream of water. Larger heads provide a better the flow but definitely require more space and the water consumption is bigger. Some people have concerns about water pressure and are not sure whether the rain shower head will be able to deliver a high-enough pressure. As we said, these heads come in a variety of designs, some are equipped with controllers and most models allow you to adjust the pressure. Width and height are also to be considered as you have to be sure there is enough space to fit a large size shower head. In small bathrooms there is a risk of flooding since the head covers a wider area than normal showers. In addition, the rain heads are usually installed above head so that the water is streaming straight down and you need to have enough height above your head to be able to shower comfortably. Spray settings and design also vary from one model to another. Some rain shower heads have multiple spray settings and some have just basic features. 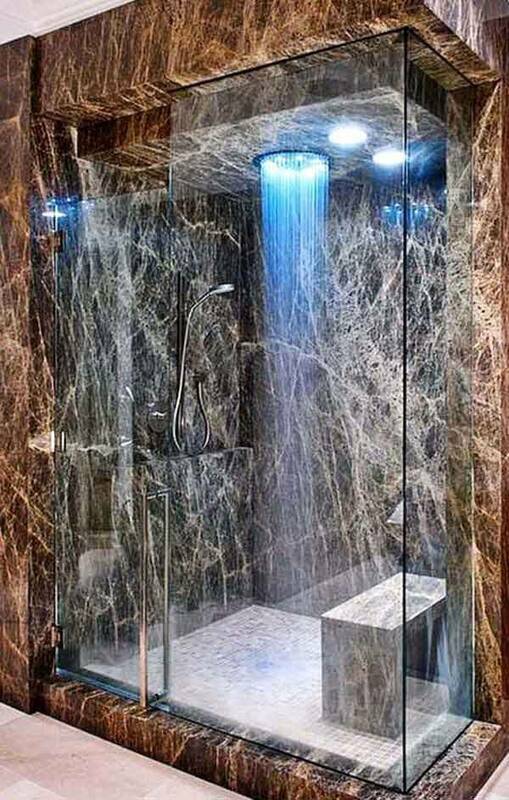 Those who prefer a simple shower can get a basic design. 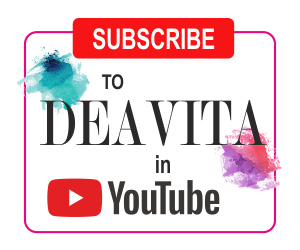 People who prefer to change the settings and enjoy the different options like rainfall, powerful massage, drenching or mist, need to get a model with additional settings. Quality is another important consideration. You should check and compare the warranty provided by the manufacturer as well as repair services, etc. Last, but not least, is the price tag. 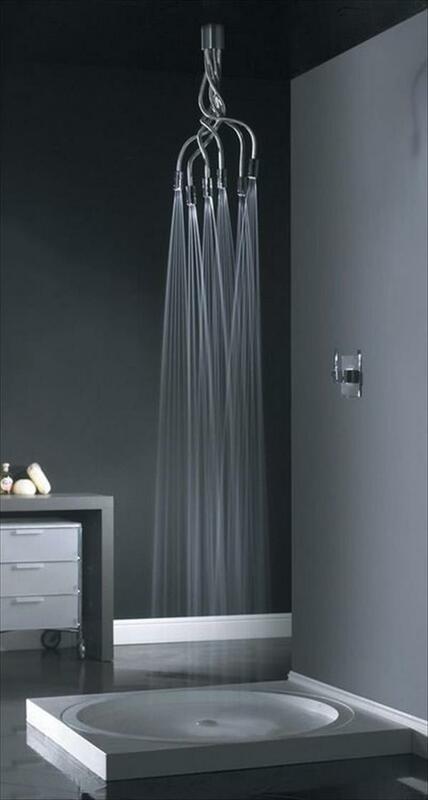 Most rainfall heads are significantly more expensive than normal shower heads. Some models come at a more affordable price but the more extras, the higher cost. 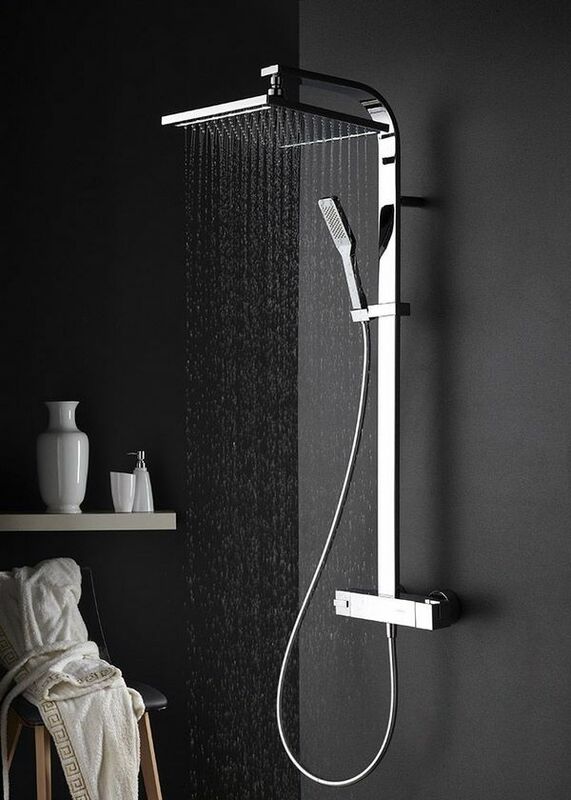 Rainfall shower head mounting options – this is a very important decision and consideration. Ceiling mounted rainfall shower heads look exceptionally stylish and the first models that appeared on the market were all designed to be mounted overhead which requires adequate plumbing through the bathroom ceiling. Wall-mounted options are becoming more and more popular as an alternative to the overhead mounting. They can replace your old shower head and the design usually features a shower arm which arches out over and above the head of the person to point the shower head straight down. This is a good option for bathrooms with low ceilings where above head installation is impossible or you are remodeling your bathroom on a budget and do not have the funds to amend the plumbing. 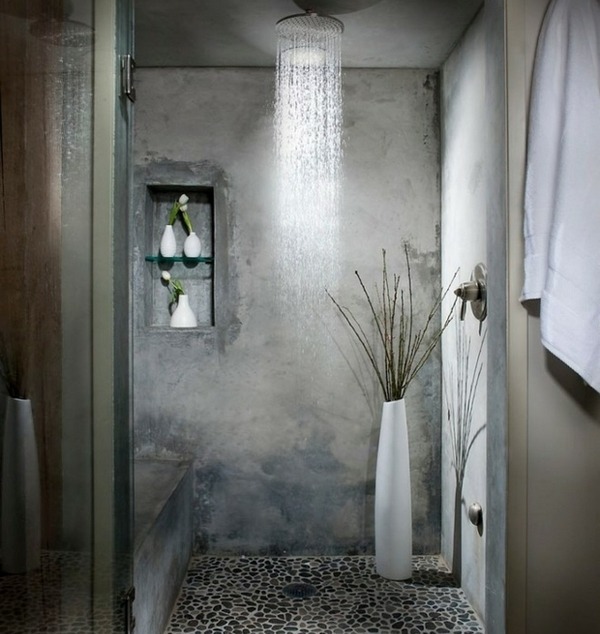 A high quality rain shower head can decorate the bathroom and become the main accent in the interior. 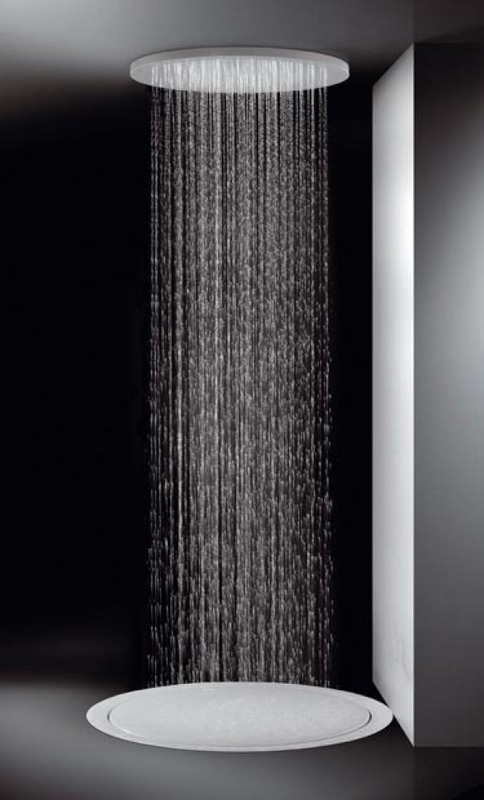 Rainfall shower heads are often used as an element of the design and many elite hotels and SPA centers use them. You can choose the shape of the head to complement the overall design concept of your bathroom. Usually, they come in either a square or round shape. 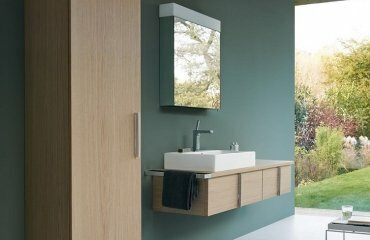 The square shape is ideal for contemporary bathroom interiors with strict lines and angular elements. 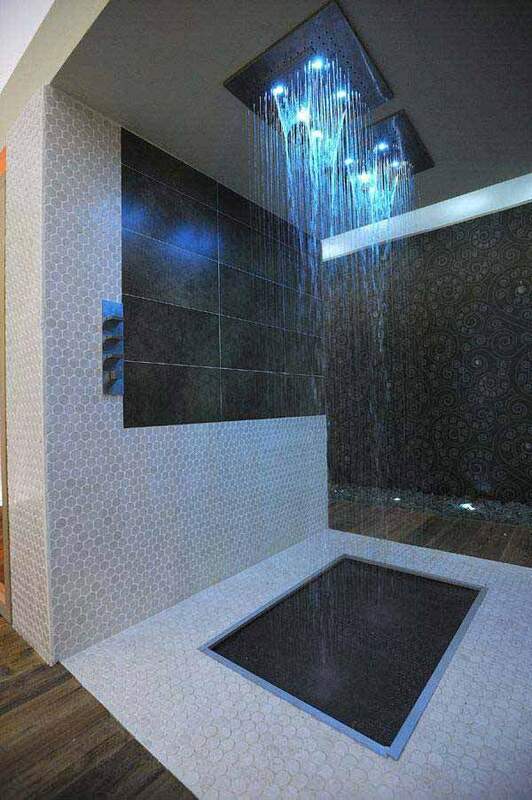 You can install a rainfall shower head in almost any bathroom. 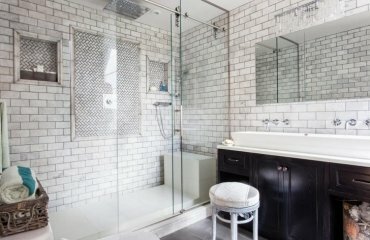 For example, locating the shower area in a corner is a space saving solution for small areas which will allow you to enjoy the benefits of a modern SPA-like shower in a limited area. These shower heads look strikingly when installed in doorless or curbless showers. 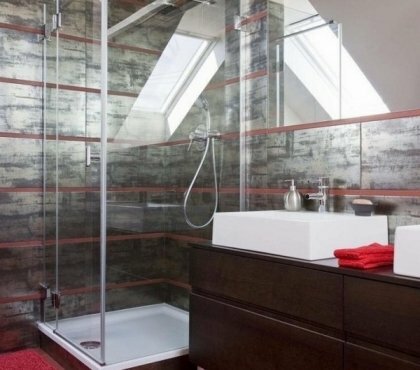 Those who prefer partitions should choose glass shower doors or partitions which will help to visually expand the space and will protect the rest of the bathroom from getting wet. You can choose from a variety of finishes – different metal tones, brushed, polished, oiled, or rubbed finishes, etc. 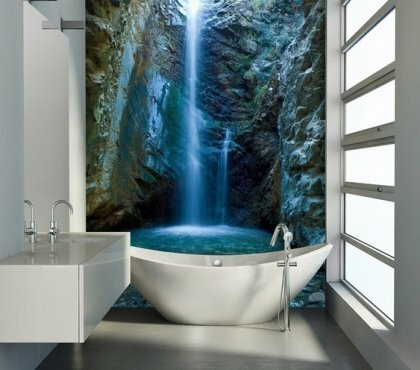 and select the one that will blend harmoniously with the bathroom style and decoration. 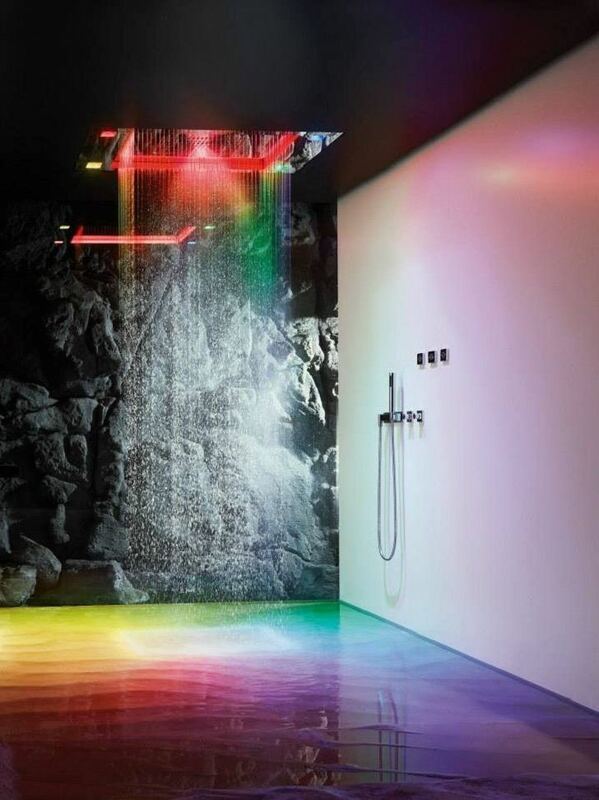 LED shower head lights can be chosen as a harmonious addition to the texture and color of the walls, or as a contrast to the decoration of the room. 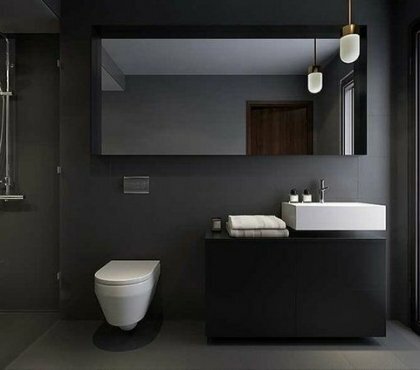 Since the built-in LED panels have no connection to the electrical network, they are completely safe but will add to the visual aesthetic and the pleasant look of your bathroom. Modern models provide the opportunity to combine the color change with a change in the water temperature. For example – blue light for cold water, pink for warm and red for hot water – whatever pleases your eye and taste. Look at the magnificent rainfall shower heads in the interior of contemporary bathrooms and choose the model that you like best.